Observation - Red Admiral - UK and Ireland. Description: I intentionally checked out the flowering ivy for butterflies. Just found this Red Admiral making the most of the sun and ivy nectar. I intentionally checked out the flowering ivy for butterflies. 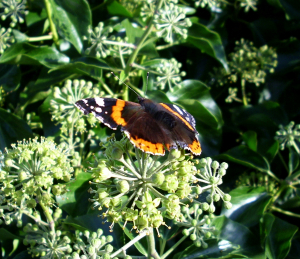 Just found this Red Admiral making the most of the sun and ivy nectar.